This article was written by Priyam Sen, a student of Amity Law School, Madhya Pardesh. The need is to study the refugee convention in the current juridical context of the UN human rights treaties and the recent doctrine of non-discrimination. The refugee convention works as a human rights treaty as the convention cannot stand alone it has to take support from various other established treaties and committees. There should be no discrimination in terms of providing shelter to the refugees. The role of the human rights treaty bodies should be enhanced and changes should be made in the convention by adopting another protocol which is competent enough to satisfy the recent problems faced by refugees. The right to be issued identity and travel documents (Articles 27 and 28). The major criticism of the convention is related to the definition of the term refugee which is too narrow. The convention defines the refugee as a person who is unable or unwilling to return to his or her country of nationality, owing to a well-founded fear of being persecuted for reasons of nationality, membership of a particular social group, race, religion, or on the basis of political opinion. The grounds mentioned in the definition for leaving the country are not sufficient, in the recent years the major cause for displacement is also because of droughts, land degradation, and other forms of natural disasters but such persons are kept outside the scope of the convention. In its 1992 document, Refugees: A Challenge to Solidarity, the Pontifical Council for the Pastoral Care of Migrants and Itinerant People called for asylum systems to take account of the needs of people who fall outside the strict definition of ‘refugee’ under the 1951 Convention but whose circumstances are such that they are de facto refugees. The Pontifical Council mentioned specifically those who are the victims of armed conflict, natural disasters, and ‘economic conditions that threaten [people’s] lives and physical safety’. The other major weakness of the convention is that it does not provide an individual who is seeking an asylum the right to enter another country. Instead it imposes an obligation on the nation state of not to return or expel a refugee to a state where he or she can face persecution. Furthermore, the Convention does not provide an individual, whom is granted refugee status, with a right to permanent residence. The principle of non-refoulement which has been imbibed in Article 33(1) of the 1951 Convention allows refugees to be removed to a ‘safe third country’. On the other hand, as per Article 1 C (5) an individual who has been granted refugee status can be ‘forcibly repatriated to their home country once a government considers that the reasons for refugee status have ceased’. Hence even if the principle of non-refoulement prevents states from returning a refugee to a country where his or her life would be threatened, but it provides no right to the asylum seeker to enter a nation state or to claim a right to permanent residence. The principle of non-refoulement provides negative obligation on the state of not to harm the refugees by sending them back to the territories where his life or freedom shall be in danger but do not provide any positive obligation to assist them. The convention is inadequate for protecting refuges because it is not flexible enough to render protection to the present refugees who are facing entirely new issues than those faced by then at the time of enactment of this convention. It has been unsuitable to deal with various kinds of organised crime and terrorism. During the years of 50s and 60s reorganisation as a refugee was enough they never wished of returning to their own country. it has been argued by few academicians that the convention is slightly euro-centric as in 1951 out of 26 states that participated in drafting of the convention 17 were from Europe and the other 4 from west European/ north American sector. One of the core principles of the refugee convention is its non discriminatory provisions. some provisions of the convention aims at providing special rights to refugees while other provisions also recognises rights to refugees by comparison with citizens or other non-citizen. The provision of the convention shall be applied without any form of discrimination as to race, religion, or country of origin. The doctrine of non discrimination has emerged from the recent case laws according to which any legitimate discrimination must fulfil the following conditions: be in law, for a legitimate purpose, reasonable as well as objective and proportionate. Differentiation not fulfilling the said criterion shall be considered discrimination and hence illegal. the status of refugees is described under article 31 of the 1951 refugee convention which states that no penalties should be imposed on the refugees by the contracting parties in case of their illegal entry or presence when they have migrated from a country where their life or freedom was threatened, provided that they intimate the authorities about their illegal entry. 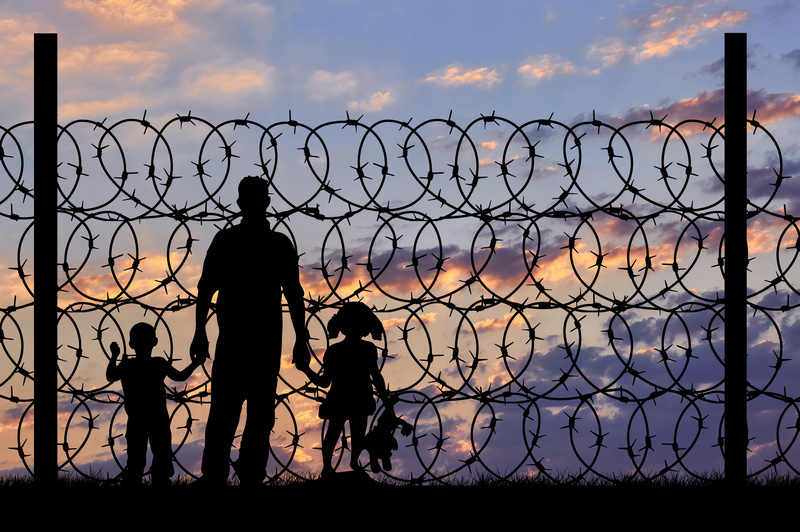 The term ‘refugee’ includes an asylum seeker whose application has not yet been determined, and who is subject to the limitations laid down in article 31 of the 1951 Refugee Convention. Hence the provision is applicable to both refugees and asylum seeker. The contracting states shall not impose any restrictions on the movements of the refugees other than those which are necessary for security of the country. it shall also provide a reasonable period and other necessary facilities which are required for admission in other country. Despite these safeguards the refuges are often placed in detention throughout Europe, north America and Australia. the primary objective of including the principle of immunity from penalties for refugees present or entering without due authoritization can be fulfilled if the same is confirmed through national legislations and case laws decided by apex adjudicatory bodies of the state parties. The states should provide adequate opportunity to UNHRC to properly supervise the implementation of Refugee convention within the state. It shall also provide the state with general guidance for necessary implementation of the convention. Even though there exist comities which are formed through a particular treaty, there purpose is only to examine reports on the treaty or to redress individual complaints or of giving views on volitions of rights hence the scope of their operation is narrow. On the other hand, the UNHCR has its own mechanism for protecting refugees’ rights and hence facilitating states to provide adequate solution to their current refugee crisis. The need of the hour is to increase the role of federal states by encouraging them to take legislative actions outside those provided in the present convention. as per article 5 of the convention the refugees have the right to be governed and be benefited from anything better granted by any contracting parties. Thus the rights and benefits which were granted to refugees before and after the enactment of the convention shall remain intact. With the advent of time the situation of refugee’s problems has changed and to resolve these problems the need is to enact a new protocol which shall remain in consonance with the present convention and shall derive authority through it but should be competent to tackle the present issues related to refuges crisis. The protocol will be able to fill the gap which remains in the implementation of the refugee convention like there is no independent body which can interpret and guide the states on the application of refugee convention and secondly there is need to establish a complaint redressal mechanism. A single procedure to assess the claims of all those seeking refugee status or other complementary protection may in many cases represent the clearest, swiftest means of identifying those in need of international protection. On the same ground, the status of refugee must be one which continues to be conferred in keeping with the provisions of the 1951 Convention and carrying with it all rights and responsibilities deriving from this status. Microsoft and Accenture have recently developed Block chain ID system for refugees. Through this, refugees can be identified through Biometric System. There will be Iris Scan facility imbedded in it. Here, refugees through Mobile Application can present their IDs. It is a Global ID system launched at UN platform. The Prototype that was revealed at the second summit of ID 2020, that was a public-private consortium promoting the United Nations 2030 Sustainable Development Goal of providing legal ID for everyone. This App will also enable displaced individuals to share their identities when finding access to healthcare and education facilities. So India, along with SAARC countries should establish same procedure for identification of Refugees from underdeveloped countries of South Asia. This will help in specifically identifying the refugees and prevent the illegal detention. Indian Parliament needs to draft a separate legislation to specifically deal with refugees already seeked asylum in India and those who are about to apply for the same. The Legislation should mainly include comprehensive procedure regarding Identification of Refugees, Asylum Policy and maintenance of Self-Determination, Nationality and Citizenship criteria of Refugees. Pontifical Council for the Pastoral Care of Migrants and Itinerant People, Refugees: A Challenge to Solidarity, 1992, n. 4. (http://www.vatican.va/roman_curia/ pontifical_councils/corunum/documents/rc_pc_corunum_ doc_25061992_refugees_en.html). Teneale Houghton,The limitations of the 1951 Refugee Convention, http://nswlegalnetwork.wixsite.com/ainswlegalnetwork/single-post/2016/06/07/The-limitations-of-the-1951-Refugee-Convention. Article 3, The Refugee Convention, 1951. Erika Feller,International refugee protection 50 years on:The protection challenges of the past, present and future, IRRC September 2001 Vol. 83 No 843, https://www.icrc.org/eng/assets/files/other/581-606_feller.pdf.